The Nordic region has a history of early adoption of new technologies, particularly within payments. Last year, according to Euromonitor, card transactions per capita in the Nordics were 50% higher than in Western Europe. The contactless revolution is in full flow too; close to 70% of all card payments made via Dankort, Denmark’s national payment scheme, are being conducted via terminals activated to accept contactless payments, just a year after the technology was introduced. 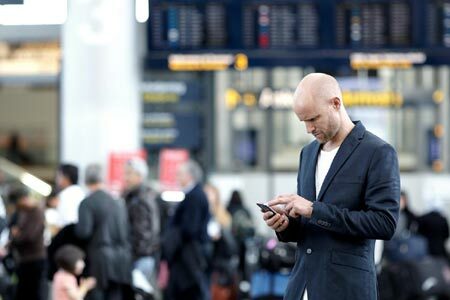 As one of the leading digital payment providers in the region, Nets expects mobile payments tech to be embraced by the Nordic populace with the same level of enthusiasm. This expectation puts pressure on issuers in the region to deploy ‘Pay’ services like Samsung Pay to customers as soon as they become available. Delays here will try their customers’ patience and risk damaging relationships, or worse, drive them to competing issuers who have beaten them to market. Working to prepare the Nordics for the arrival of ‘the Pays’, Nets recently announced a partnership with Oberthur Technologies to launch a fully integrated, end-to-end mobile payment solution which will enable the region’s 260 banks to activate international Pay services as soon as their commercial agreements with the Pays have been finalised. The objective here is to greatly simplify integration complexity for issuers, enabling them to reduce their time-to-market. If Pay services prove to be as popular as expected, establishing first-mover status will generate valuable differentiation for the region’s issuers. In truth, even before ‘the Pays’ arrive, mobile payments have already hit the Nordics. The region’s existing mobile payment facilities are attracting more than 1000 new users every day. Many of the region’s banks are already generating their own mobile wallet solutions by leveraging ’full stack’ ready-to-go HCE and tokenisation payments platforms from digital service providers, like Nets. These capabilities enable issuers to dramatically accelerate development and should enable many to launch solutions before ’the Pays’ arrive. This makes good sense; if banks can establish their own offerings as wallet-of-choice, then their customers are more likely to view the launch of an international Pay service in terms of ‘another mobile payment option’, rather than ‘the technology we’ve all been waiting for’. European payment service providers will doubtless be thinking about how they can ready their issuer-customers for the onset of ’the Pays’. From Nets’ perspective, simplicity is the key. Issuers will be running an intense race-to-market for Pay services, particularly in regions where customers are hungry for the benefits they deliver. This anticipation is driving issuers to seek partnerships that can help them move faster than they can alone, by handing over the burden of ‘making it all work together’ to a trusted third party. Supporting issuers with pre-packaged integration solutions, that enable issuers to focus on customer relationships and establishing market differentiation, will ensure that the most important stakeholder of all, the end-user, continues to be well served.